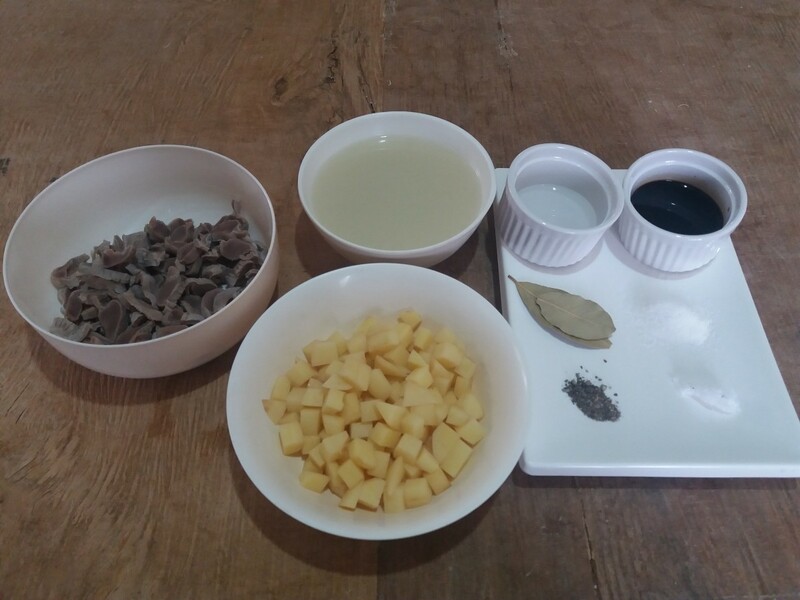 Adobo is found in several different countries around the world, but one of the most famous is from the Philippines. 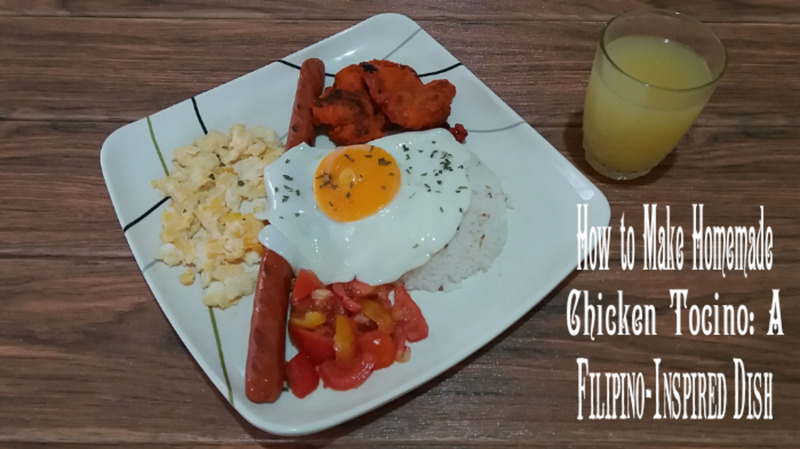 Even within the Philippines, different regions have their own variations. 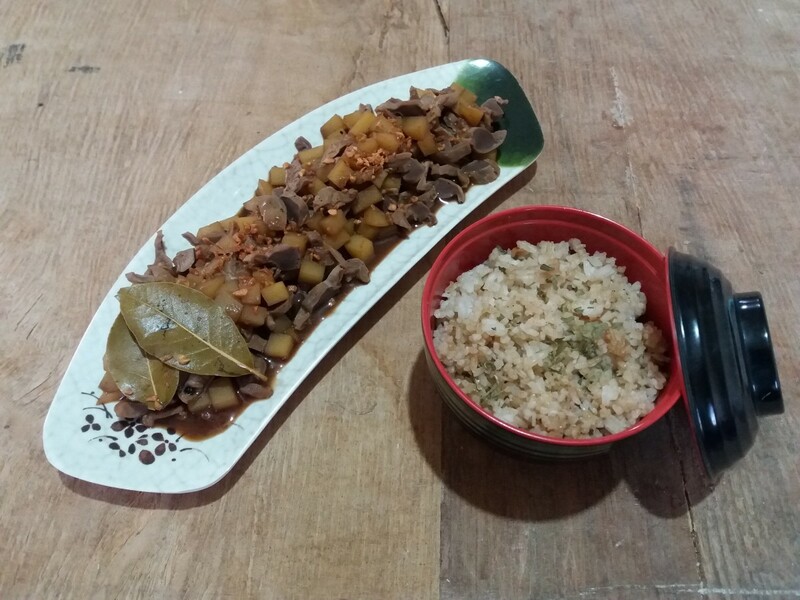 Typically, this dish is made with meat or vegetables with bay leaf, garlic, peppercorns, soy sauce, and vinegar. 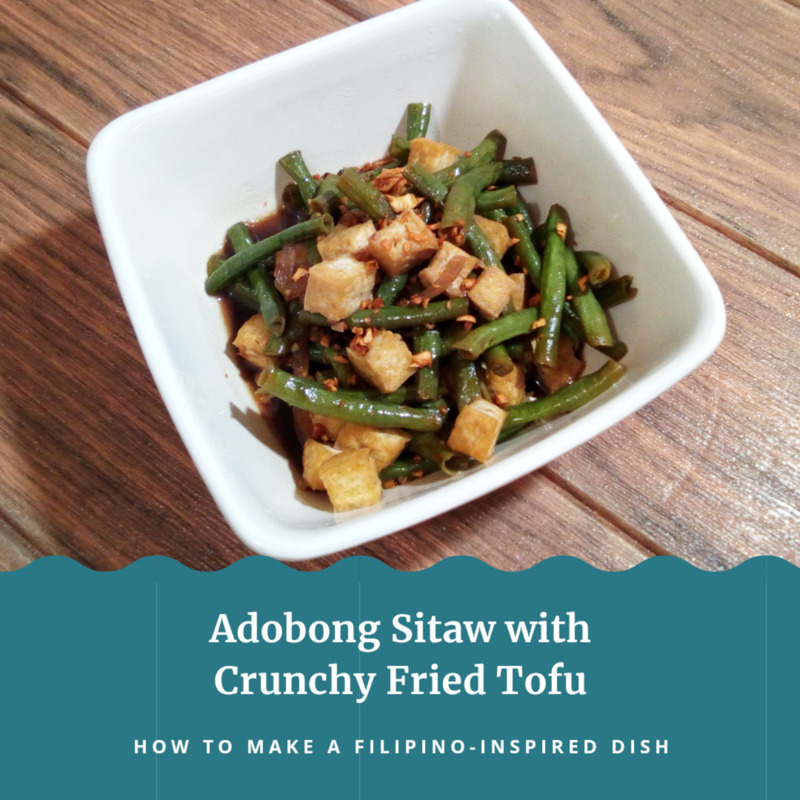 Recently, I was craving Filipino-style adobo, so I decided to make it at home. Instead of fresh garlic, I used crispy fried garlic bits (which you can buy at the store or make at home). 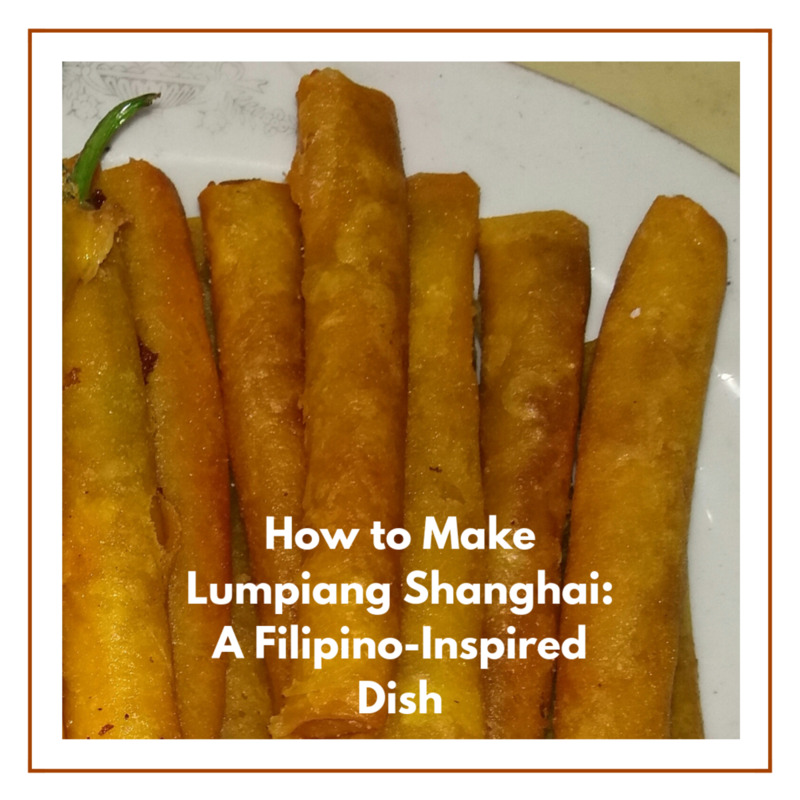 I liked how this recipe turned out with the crispy fried garlic bits; the taste and texture changed. It was really great! 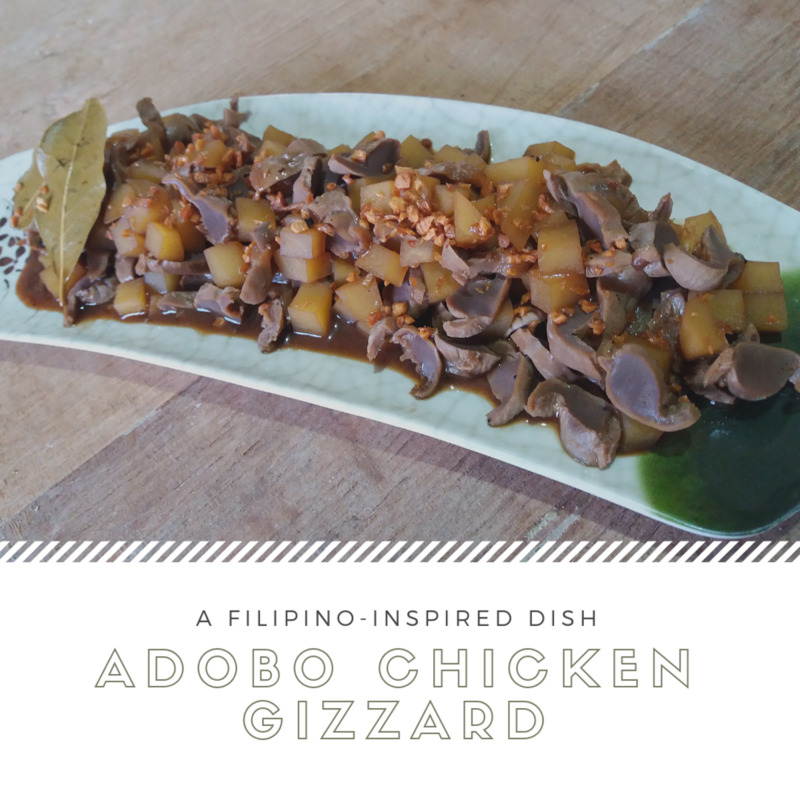 Let's look at my recipe for chicken gizzard adobo. 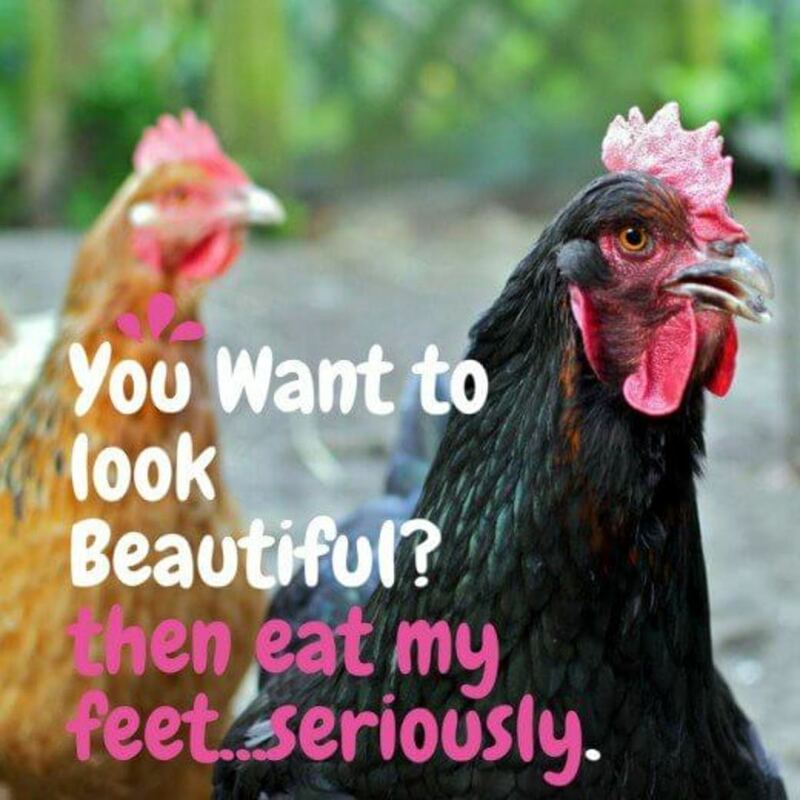 Remove fats from the gizzards. Rinse it with salt and wash it with water twice. Put gizzards, vinegar, salt, and water in a pot. Bring to boil for about 25 to 35 minutes or until tender. Cut the potatoes into cubes. Soak it in water. Set aside. Check the gizzards. If almost tender, remove it from the heat. Drain and save the water. Let it cool before slicing it into pieces. Saute first the gizzards in oil. Add all ingredients in the same pot. Allow it to boil until gizzards and potatoes are fully cooked. Serve it immediately while still hot. Slice meats or vegetables into small pieces to facilitate fast cooking. Add fresh garlic and onions if preferred. Saute garlic and onion first—before adding the other ingredients. Make it spicy by adding fresh bird's eye chilies or chili garlic oil. Use a pressure cooker, if available, for faster cooking of the gizzards. Add more liquid if necessary. 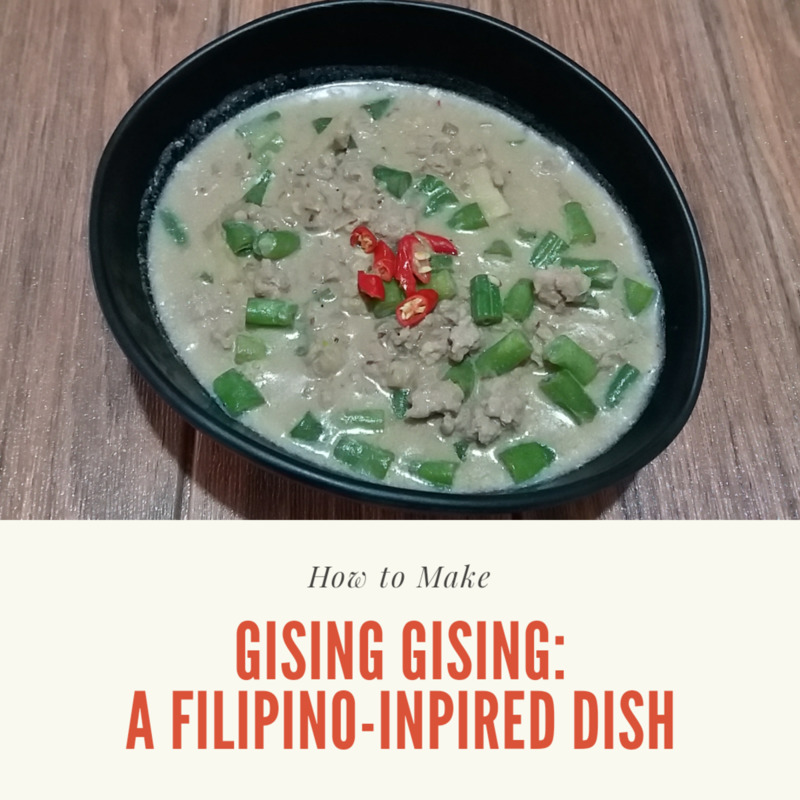 Save gizzard stock to enhance the flavor of the whole dish. Add enough vinegar into boiling water to tenderize the gizzards and lessen their off-taste or fishy taste. In the future, that is for sure! Thanks for the appreciation. This looks tasty. Maybe you should publish your recipes in a cook book. 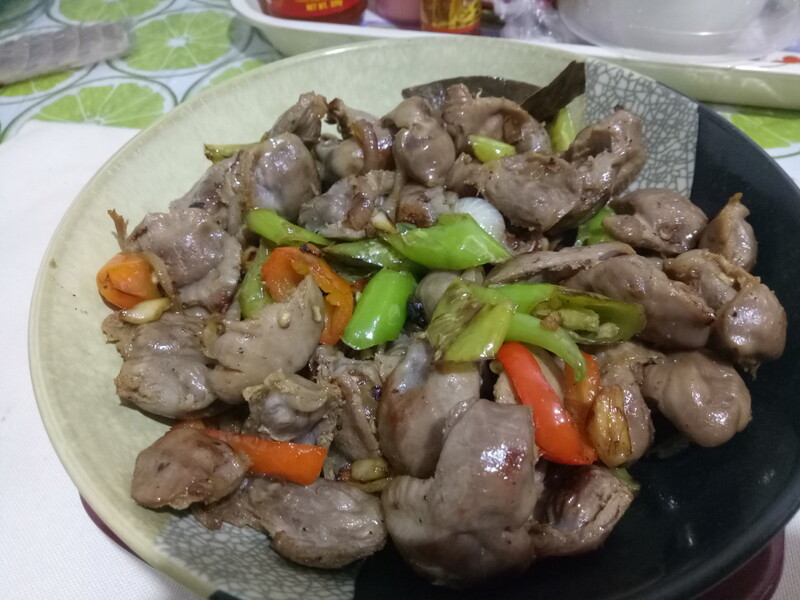 I used to enjoy gizzards but have not eaten it for years now. Time to try some again.